So Mark Antony mourns the assassination of his friend and mentor, Julius Caesar, in the classic play of the same name by William Shakespeare. Millions of Americans now feel the same anguish over the election of Donald Trump as President of the United States on November 8, 2016. True, Trump continues to wail there was “no collusion” between himself and Russian Intelligence agents to win the Presidency. Yet an increasing onslaught of revelations spotlight the links among Trump and members of his campaign and/or Cabinet with Russian dictator Vladimir Putin. And, for this, the United States owes thanks to a 74-year-old man who has assumed the burdens created when millions of racist, hate-filled Americans deliberately sent a Russian-backed egomaniac and would-be dictator to the White House. That man is Robert Swan Mueller III. Like Will Kane, the embattled marshal played by Gary Cooper in High Noon, he is not a young man—born on August 7, 1944. And, like Cooper’s Will Kane, he is tall, gray-haired and tight-lipped. But while Cooper never saw military service, Mueller did. A 1966 graduate of Princeton University, he served as a Marine Corps infantry platoon commander during the Vietnam War. The Bronze Star Medal with Combat “V” for heroism (for saving a wounded Marine while under enemy fire). The Purple Heart Medal (awarded for wounds in combat). Two Navy and Marine Corps Commendation Medals with Combat “V”. 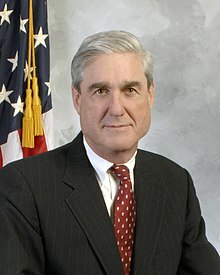 Having given three years of his life (1968-1971) to the Marines, Mueller devoted the rest of his life to law enforcement. United States Deputy Attorney General (January 20, 2001– May 10, 2001). On September 4, 2001—seven days before Al Qaeda’s monstrous 9/11 attacks on Washington and New York—President George W. Bush appointed him director of the Federal Bureau of Investigation (FBI). Widely praised for his integrity and effectiveness, he served his full 10-year term—the legal maximum. But when President Barack Obama took office in 2009, he asked Mueller—a lifelong Republican—to stay on for an additional two years until a suitable replacement could be found. Mueller agreed—and was succeeded by a fellow Justice Department colleague named James Comey. Retiring from the FBI in 2013 at age 69, Mueller’s 27-year career as a dedicated law enforcer seemed at last to be over. 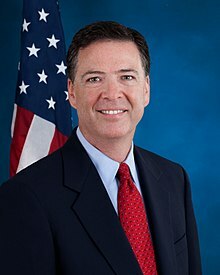 Comey had recently asked the Justice Department to fund an expanded FBI investigation into well-documented contacts between Trump’s 2016 Presidential campaign and Russian Intelligence agents. The goal of that collaboration: To elect Trump over Hillary Clinton, a longtime foe of Russian President Vladimir Putin. On May 10—the day after firing Comey—Trump met in the Oval Office with Russian Foreign Minister Sergey Lavrov and Russian Ambassador Sergey Kislyak. Since then, Trump, his shills in Congress and Right-wing Fox News have relentlessly attacked Mueller’s integrity and investigative methods.